MIDDLETON, WI--(Marketwire - March 8, 2011) - Extreme Engineering Solutions, Inc. (X-ES) is providing one terabyte of solid state storage in a single 3U VPX slot. The newly available conduction- or air-cooled 3U VPX XPort6172 Solid State Disk (SSD) provides up to 512 GB, or a half terabyte (½ TB), of solid state storage with data encryption. However, 1 TB in a single 3U VPX slot is achievable by mounting the XPort6103 512 GB XMC SSD onto the XMC site of the XPort6172. The XPort6172 and XPort6103, individually or combined, satisfy the rigors of MIL-STD-810F and -461E -- they are ready for the harshest deployments. 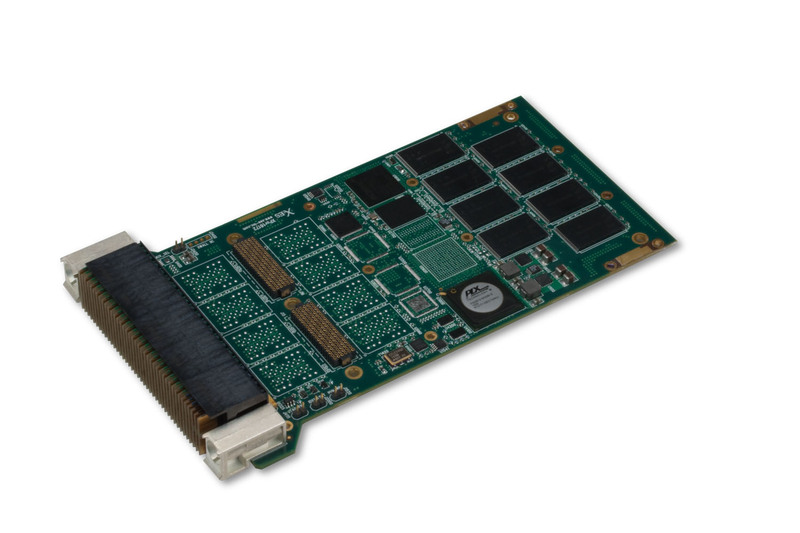 The XPort6172 supports 256-bit AES encryption, utilizing the 123 NIST- and CSE-certified Enova Technology X-Wall MX-256C encryption chip. Additionally, the XPort6172 supports "zeroization" (i.e., enhanced erase) and satisfies DoD NISPOM 5220.22 and NSA/CSS 9-12 specifications. "Customers have approached X-ES with 1 TB to 4 TB system-level requirements which can be supported using the XPort6172 and XPort6103 in our XPand4200 or XPand5200 ½ ATR chassis solutions," states Bret Farnum, VP Sales. "In our XPand4200 populated with an SBC and a power supply we can provide a total of 4 TB of solid state storage in the other four slots." The XPort6172 provides best-in-class performance, with up to 200 MB/s sustained sequential read performance and 120 MB/s sustained sequential write performance. About X-ES -- Extreme Engineering Solutions, Inc. (X-ES) designs and builds chassis, single-board computers, I/O, power, backplane, and system-level products within the embedded computer industry. X-ES offers cutting-edge performance and flexibility in design, plus an unparalleled level of customer support and service. For further information on X-ES products or services, please visit our website: www.xes-inc.com or call (608) 833-1155.